BANGKOK—Good government policy and research. These are the main ingredients that make Thailand the world’s current top rice exporter, a Thai rice executive said. “We have the prime minister, even our king, promoting rice. It is very important. Every government [official] is interested in rice,” Chairit Damrongkiat, deputy director general of the Rice Department under the Ministry of Agriculture and Cooperatives, told the BusinessMirror at the sidelines of a media seminar in Bangkok conducted by Syngenta and attended by 22 journalists from Asia. He said the king himself presides at the annual royal rice ceremony. Damrongkiat noted that Thai farmers learn a lot on rice technology because they have experts who have doing researches in the past years. “Now we have a lot of good variety of rice, so we can select the best one. Our department has released about 75 varieties but we still have a lot of local varieties, more than 4,000, which we use for niche market, for consumer and for nutrition,” Damrongkiat said. He said his country has about 200 rice experts. The world’s top rice exporter, Thailand exported 10 million tons (MT) of rice in 2008, or 33.8 percent of the world’s total of 29.6 MT. It is followed by Vietnam (4.6 MT, or 11.5 percent), other countries (4.5 MT, or 15.5 percent), India (3.3 MT, or 11.2 percent), the US (3.2 MT, or 10.8 percent), Pakistan (3 MT, or 10.1 percent) and China (0.9 MT, or 3 percent), he said in his presentation in the media seminar. Saying, “Thailand is feeding the world,” Damrongkiat said it has been exporting to more than 150 countries in the past 28 years. The world’s production of rice in 2008 is 445.6 MT. Of this, China was the top producer with 134.3 MT or 30.1 percent, followed by India, 99.1 MT (22.2 percent); other countries 93.08 MT (20.9 percent); Indonesia, 38.2 MT (8.6 percent); Bangladesh, 31 MT (7 percent); Vietnam, 24.4 MT (5.5 percent) and Thailand, 23.2 MT (5.2 percent). On the other hand, the Philippines has become the world’s top rice importer. 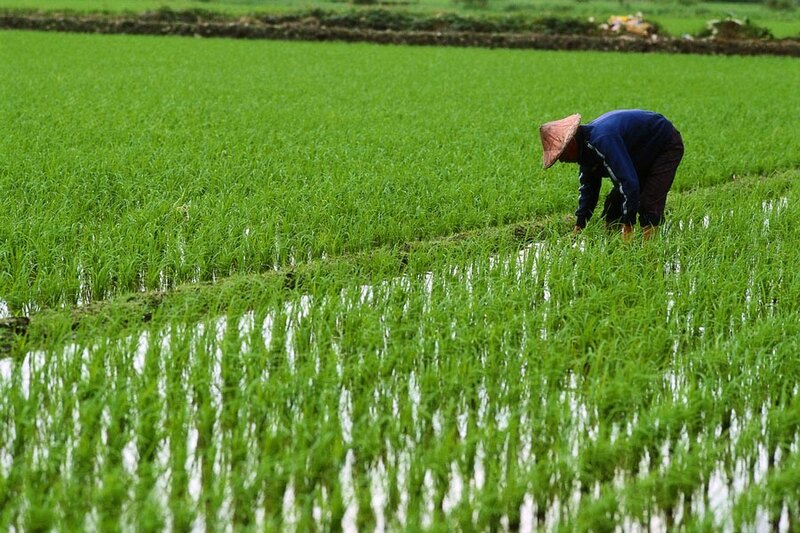 Damrongkiat said Thailand exports to the Philippines an estimated 1.8 million tons of rice annually. Manila last year bought a record 2.54 million tons (2.3 million metric tons [MMT]) of rice to plug a 10-percent domestic production gap, the Associated Press said. The rice crisis spiked the price of rice worldwide, and reached P40 a kilo in the Philippines. The Philippines’ situation is made worse by the damage caused by Typhoon Ondoy and three other typhoons that damaged 13 percent of the targeted national rice production in the fourth quarter of the year. The country is importing 850,000 MMT to beef up its stock in the first half of 2010. 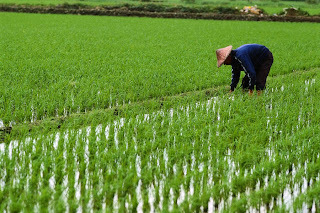 What is ironic is that many of Thailand’s rice experts studied from the rice research centers in the Philippines, such as the International Rice Research Institute (IRRI), University of the Philippines in Los Baños or the Central Luzon State University (CLSU), he said.